We have provided intermodal equipment, including new and used container chassis, ISO tanks and containers, LNG tanks and more for over 25 years. Our customer service team, which has high levels of technical assistance and industry knowledge, makes it as easy as possible for you to get the equipment you need – fast! Our team will work directly with you to help determine which type of chassis or tank will work for your specific needs. Your needs are our priority and we will work hard to ensure your complete satisfaction. We value your business and all client relationships are confidential. We are one of the leading suppliers and manufacturers reps in the industry. We’ve worked directly with companies large and small worldwide, satisfying their specific intermodal equipment needs. Our goal is to provide high-quality equipment at affordable prices. TransWorld Equipment partners with companies across the world to ensure our customers receive competitive pricing for all products. TransWorld Equipment is proud to offer new container chassis. 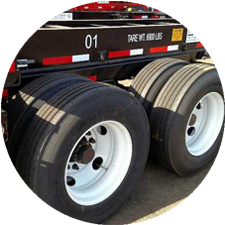 We offer all types of intermodal chassis, including 20-foot chassis, 40-foot chassis, 45-foot chassis, 40-45 adjustables, 20-40 City Combos, drop frame tank chassis, combo GN20/40, tri-axles, spread axles and more. Let us know if we can help with your intermodal equipment needs. Or call us today to check our current inventory that may work for your specific needs. 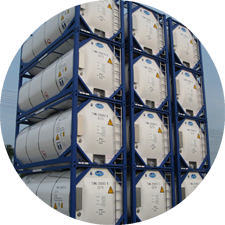 We are a leading supplier of natural gas ISO tanks and storage tanks – also known as LNG tanks. We represent the largest tank manufacturer in the world. Our tank products are the highest quality available; our capacity and hold time options set us apart from the rest. 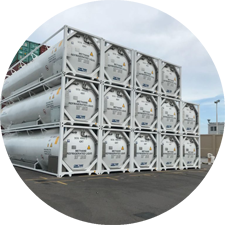 Our LNG tanks meet all ISO standards and regulations. TransWorld Equipment offers ISO tank containers for various products. Our isotainers are designed to meet all of your specific needs while adhering to all legal and safety guidelines for legal and safe carriage of liquid commodities. 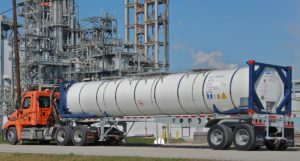 With an innovative patented design, TransWorld Equipment is proud to offer the first 40-foot intermodal tank and chassis combination with all DOT, AAR and International Certifications for legal carriage of chemicals by road, rail, or sea.